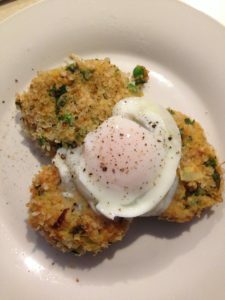 My family love fritters/patties and I often cook them whenever I have bits and piece in the fridge that need to be used up. 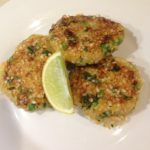 These little tuna and vegetable fritters are no exception. Such a great way to get a good dose of fish and vegetables into your little ones, who can be a little resistant to them. My daughter does love her veggies, but doesn’t like fish at all but she will devours these fritters. So winning all round! 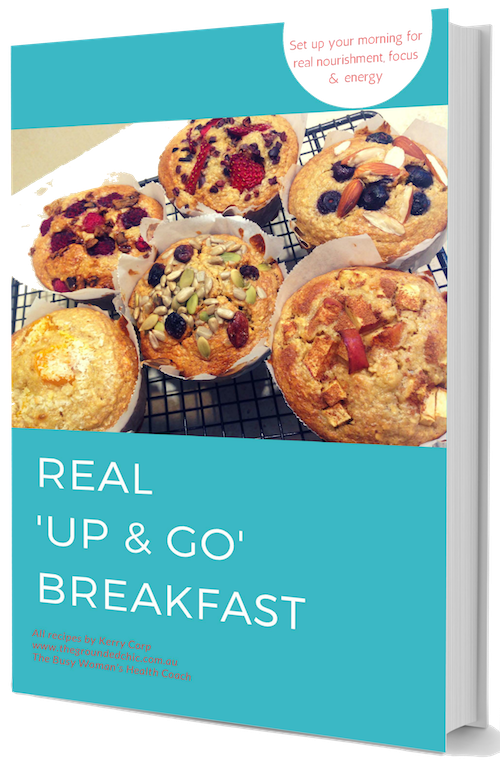 I will always make more than I need and have them with a poached egg for breakfast over the following day. As you may gather from most of my recipes, I like to find ways to get a variety and as much vegetables in them as possible. According to the Australian Bureau of Statistics, only 5.5% of Australian adults have an adequate daily intake of fruit and vegetables. Nearly half of adult Australians were getting their daily recommended dose of fruit ( 2 per day) while only a mere 8.2% usually ate 5 or more serves of vegetables per day( daily recommended intake). Now this is concerning not only for me as a health coach, but more importantly for the 92% of Australians that are not getting enough vegetables in their diet. Why is it so important to eat our veg? The nutrients in vegetables are vital for health and maintenance of your body. A diet rich in vegetables may reduce risk for stroke, cancer, heart diseases and type-2 diabetes. So go on, eat a rainbow, mostly greens!! A simple yet nourishing dish, that can be whipped up easily, with minimal fuss, dishes and effort. It is also a great way to use up the bits and pieces left in your vegetable draw. Place a saucepan of water on heat and bring to the boil. 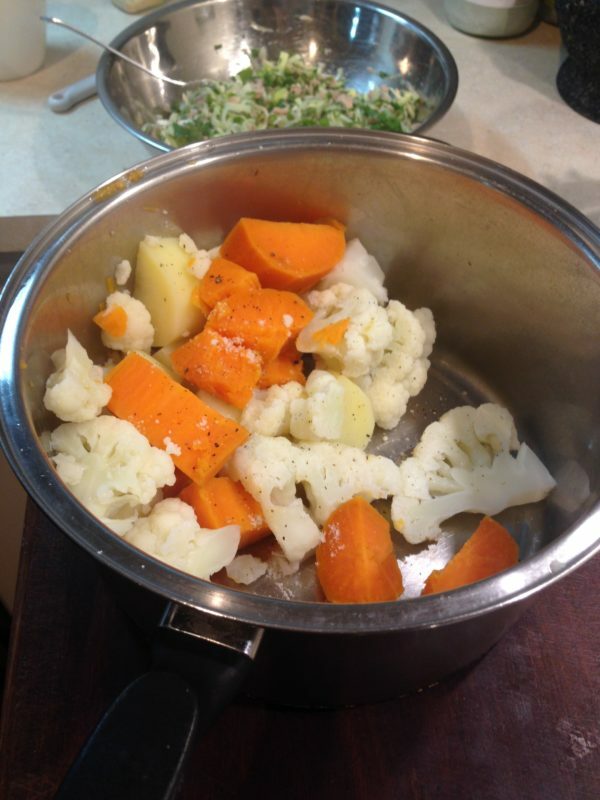 Add in your potato and sweet potato, with a little salt to season. While the potatoes are cooking, chop up your remaining vegetables. Set aside your cauliflower. 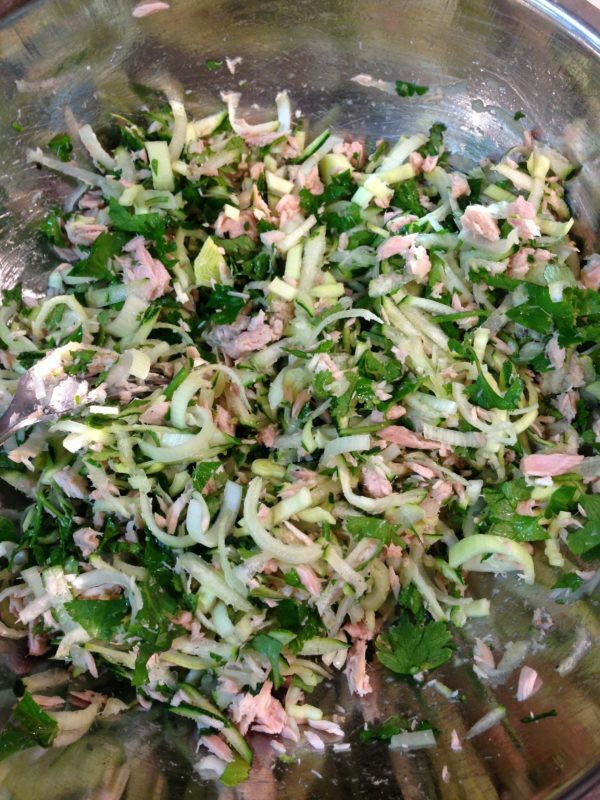 Then in a large bowl, add your Zucchini, Leek, parsley and tuna. Once your potatoes are boiling, add in your cauliflower. Cook till your potatoes and Cauliflower tender, then drain and mash. Add your mash to the tuna/vegetable mix. On a plate, place your quinoa flakes/crumbs ready to crumb. Whisk your egg, then add it to your tuna/veg mix. Stir and mix well. Season with a little salt and pepper. 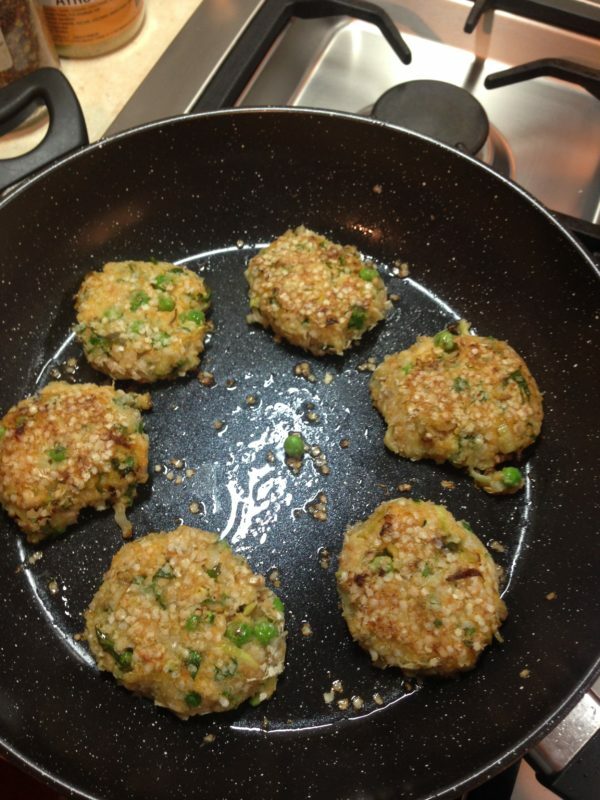 Taking a large tablespoon of mixture, form a patty/fritter shape, then coat in the quinoa flakes/ crumbs. In a moderately heated pan, add a little oil and pan fry your fritters, till lightly browned. You will need to do this in batches. I usually have the oven on a low temperature, to keep the cooked fritters on a tray warm, while cooking them all. Once all patties are cooked, serve with wedges of lemon. You could even have a side of green salad if you like. 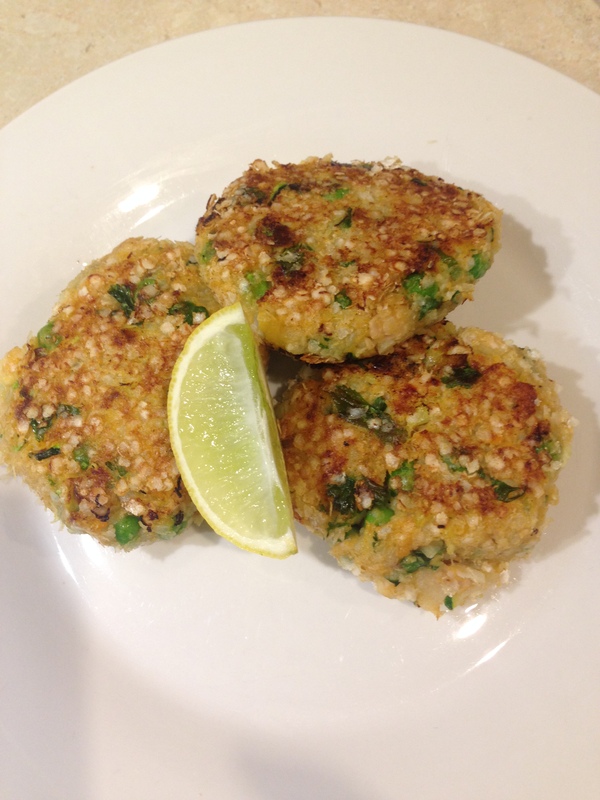 Very simple, Reasonably Quick, Delish and Nutrish!